I would like to announce the imminent release of my new book, The Wing Warrior, which will be available from Amazon's Kindle store. In a world where magic has been banned, and the legendary creatures of old are nothing more than memories, an ancient and evil force has returned. In the shadow of this terror, a young boy called Nimbus sets in motion a chain of events that arouses a leviathan from its slumber and awakens an even more sinister power within his eight-year-old sister. But Nimbus has bigger problems to deal with. His family is falling apart, his best friend has developed a nasty streak of jealousy, and he is about to discover how difficult it is to be a hero when you're dead. The Wing Warrior - front cover art by James Lloyd. The book has been written with the 9-12 age group in mind, but I think there are plenty of older readers and even some adults who will find something to enjoy. They say that everybody has one good book in them; I am hoping I have at least three, because The Wing Warrior is the first book in a trilogy entitled The Legend Riders. 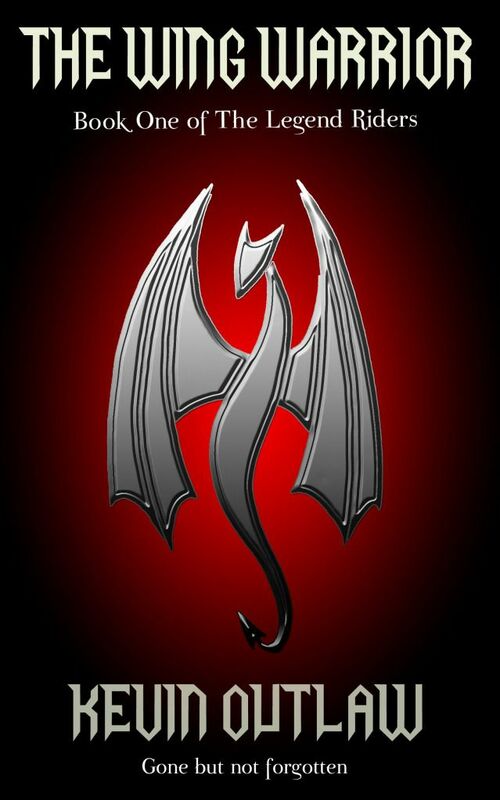 The series has been structured so that in each book new legendary creatures are introduced (a leviathan and a dragon in book one, a unicorn in book two, and a pegasus in book three). The mythological elements of the stories should find an audience with children who have enjoyed The Spiderwick Chronicles, by Tony DiTerlizzi and Holly Black, and are now looking for a slightly more adult book dealing with some similar themes. The Wing Warrior - Available Now!